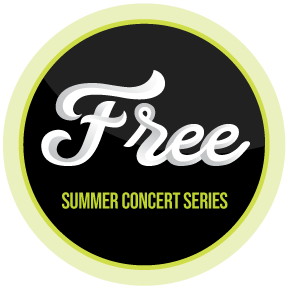 Sixquare presents Musical Explorations, a free summer music series held at the African American HeritageFacility, The Courtyard912 E.11th St., in Austin, Teaxs. Musical Explorations highlights various genres of African American music styles. Taking place Black Music, June 2019, with a blues showcase featuring the Peterson Brothers. We presented a R&B and neo-soul showcase and a series highlighting ,blues R&B and hip-hop music. The goal for the series is to provide free, family friendly entertainment in The District and to also provide a platform for the myriad of talented musicians located in Austin and throughout the state. Austin is dubbed as the “Live Music Capital of the World”, we want to ensure that the City continues to nurture the vast array of musicians of African descent that reside here. Join us throughout the series as we present show cases. June 6 Blues with JC Stringz, The East Side Blues Band and The Peterson bothers. June 13, Distinguished Soundz, Soul Tree Collective and Ufulu Child. June 20 Hip Hop with Mamma Duke, Bavu Blakes and Queen Deelah. June 27, Jazz with Courtney Santana, Courtney’s band and Pam Hart. Join us for an evening of Blues as we showcase some of Central Texas finest new, up and coming and established artists. Enjoy the sounds of JC Stringz, East Side Band and The Peterson Brother will be headlining the evening’s show. Join us for an evening of R&B as we showcase some of Central Texas finest new, up and coming and established artists. Enjoy the sounds of Soul Tree Collective ,Ufulu Child and Distinguished Soundz will be headlining the evening’s show. Join us for an evening of Hip Hop as we showcase some of Central Texas finest up and coming and established artists. Enjoy the sounds of Mamma Duke, Bavu Blakes and Queen Deelah will be headlining the evening’s show. Join us for an evening of Jazz as we showcase some of Central Texas finest artists. Enjoy the sounds of Courtney Santana, Courtney’s band and Pam Hart will be headlining the evening’s show. ©2019 Austin's Black Cultural District® - Do not copy. All rights reserved.